This book represents a prodigious study of judgment-recognition practices in the Central American states, and is for that reason alone an important and needed contribution to comparative law. 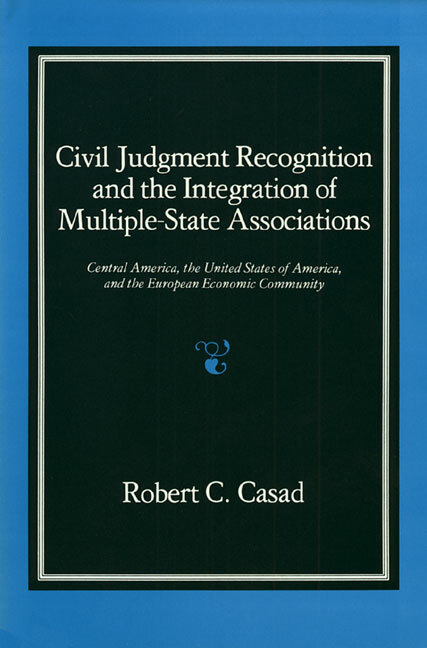 Distinguished legal scholar Robert C. Casad details the history and present arrangements in Central America, compares the Central American system to interstate judgment-recognition arrangements in the U.S. and the European Economic Community, and considers important suggestions for reform in Central America. This book brings together for the first time in one source, translated into English, the texts of the relevant code provisions of each of the six Central American countries, as well as the text of the Bustamante Code (the multi-lateral treaty) and the European Economic Community judgment-recognition convention.